Successfully Added Android 3G Tablet PC - 10.1 Inch 1024x600 Screen, Two Cameras, Wi-Fi, GPS Support, Bluetooth, Dual SIM to your Shopping Cart. Boost your on the go productivity and have loads of fun with the 10.1 inch 3G tablet, featuring Android interface, quad core processor, GPS and Wi-Fi support, two cameras and two SIM cards. If you are looking for a compact gadget you can always bring along on a trip and have ready when you’ve got time to spare, you will definitely find it with this 10+ inch 3G tablet. Sporting the friendly Android interface and a large 10.1 inch screen with 1024x600 resolution, the tablet is great for all your media, web browsing and game play. To back all of that up, you have the SC5735 Cortex A7 Quad Core CPU and Mali-T720 GPU. One of the main highlights of the model is 3F connectivity on two SIM cards — so the tablet can easily double as a phone. You will also have Wi-Fi and GPS support and two cameras. With Bluetooth support, you will also be able to effortlessly hook up the tablet to other devices. The 3G tablet comes with 8GB of internal memory and supports up to 32GB externally. The 4000mAh battery provides 3 hours of continuous talk time + 72 hours on standby. 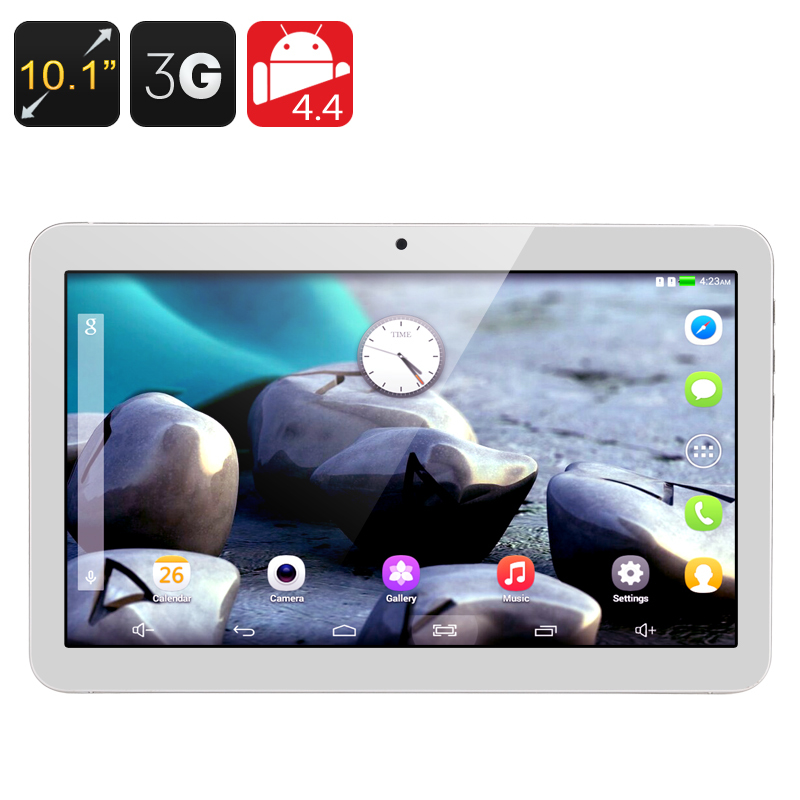 The Android 3G Tablet PC comes with a 12 months warranty, brought to you by the leader in electronic devices as well as wholesale Android tablets..